Portable Stainless Steel Grills, American Outdoor Grill, RH Peterson . 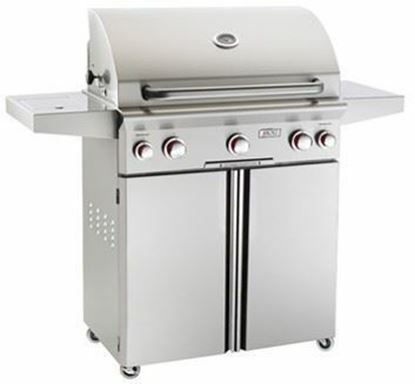 Choose from 24", 30" or 36" stainless steel outdoor portable grill from American Outdoor Grill. 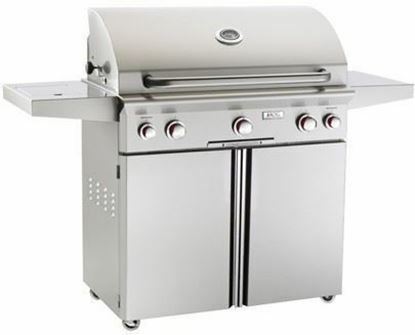 The "L" series grills feature an electronic push button ignition system that does not require bateries. It also includes interior halogen lights (controlled by a push buton located on teh right side of the unit) ideal for night grilling. Requires 120 Volt AC power. 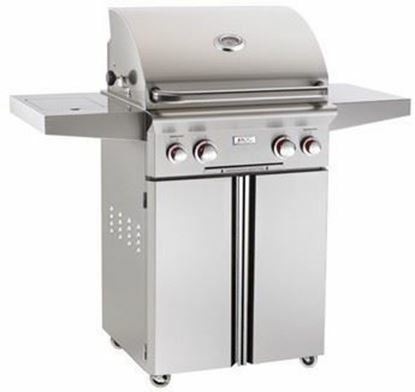 The "T" series grills feature a push-to-light piezo ignition system that eliminated the need for electricity or batteries. This results in a self sufficient grill with a clean looking front panel.